If we base our chances on Chot Reyes' selection for the 2023 FIBA World Cup then our basketball future is bright. 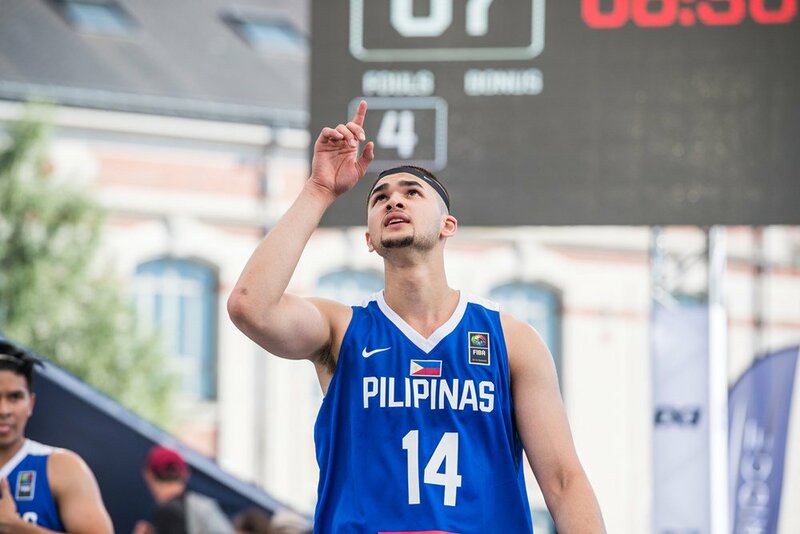 He recently twitted his list for the Philippine Gilas team that he hopes would play in 2023. Called the #23for23, it showcases the best players for that competition. Leading the pack is Kobe Paras as always, followed by Roberto Bolick and Paul Desiderio. 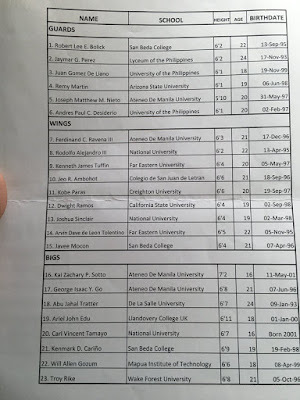 Other amateur stalwarts include Juan Gomez De Llano, Remy Martin, Jaymar Perez, Thirdy Ravena, Dwight Ramos, and many more taken from local and international universities. List as Twitted by Chot Reyes. 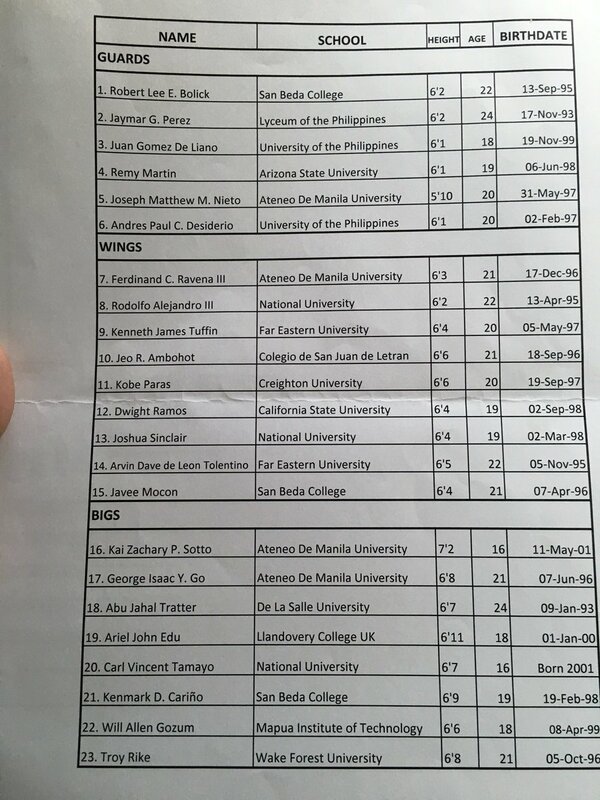 As a disclaimer, Chot Reyes also mentioned in his twitter, "by no means final" is this list. So its still a long way off for 2023 so anything can happen. He is mere optimistic as he wants to present the best team for the FIBA World Cup, where we are co-hosts with Indonesia and Japan. This World Cup is special as this is the first time the tournament will be held in multiple countries and in 6 six cities. 4 cities will be done in the Philippines while Indonesia and Japan will host one city each. Philippines will get the lion's share of the tournament, hosting four preliminary round group, two second round groups and the final tournament phase from quarterfinals onwards. So this is a big opportunity for us to hold such a momentous event. Philippine playing venues will be in Bocaue (Philippine Arena), Quezon City (Smart Araneta Coliseum), Pasay (Mall of Asia Arena) and Pasig (PhilSports Arena). So expect a huge home crowd for the Gilas should they play from quarterfinals onwards.